Wellington artist James R Ford has turned the concept of the ubiquitous scratchie on its head – and all in the name of art. Ford, who last year won the inaugural Tui McLauchlan Emerging Artist Award for a work that featured a mirror covered in vomit-like melted crayons, is to create up to 100 handmade scratch card art works. Each scratch card will cost $50, and, once scratched, reveals text underneath to become a limited-edition artwork. But, like the traditional scratchie, there is also the incentive of winning a prize. 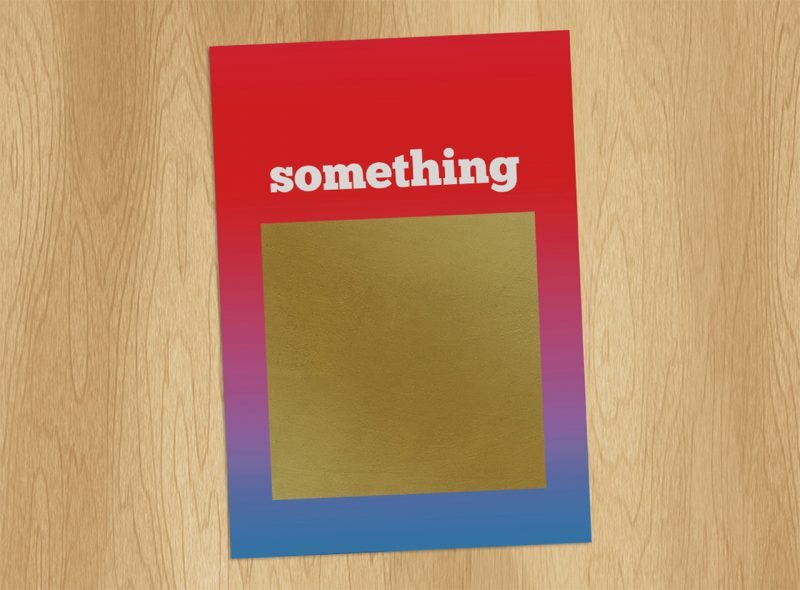 In this case, one of the cards will reveal the full title for a large neon art work by Ford called Something, Something Else. If the buyer scratches their artwork to reveal that title, they will be given the work after it has been exhibited in Ford’s next show, Jeopardy, at Paul Nache gallery in Gisborne in February. Ford says the idea of creating the scratch cards grew out of the concept of the show. “It goes back to the origins of the word jeopardy and it being a [television] game [show] and ‘being in danger’. The main works in Jeopardy are mirrors and it’s about the jeopardy of wasting your time on stupid things like Facebook and worrying about things that don’t really matter. “Then I started to think about how you interpret works of art and how it is like the quiz show Jeopardy: you are given the answer and you have to work backwards to see where that came from. Then it went from the game show to games and how it would be quite fun to have a gaming project to go with the exhibition,” he says. Ford, who estimates he has won $40 on traditional scratchies, says his artworks can also make gifts – especially as scratch cards are often cheap stocking fillers at Christmas. Ford is known as an artist who can take the familiar and reimagine, reinterpret or rebuild it as art. It can also be from destruction. In 2010 he famously invited the public to smash up a “cursed” Nissan Primera he bought on Trade Me. Ford ran over a cat within five hours of picking up the car and it broke down the following day – the first of three breakdowns. About 60 people turned up to what one critic described as Ford’s attempt at “anti-sculpture”. “I’m doing an exhibition in April, curating a show called The Emperor’s New Clothes, and what I started to think about was art in terms of how a lot of it is just perception. It’s what you perceive that gives it its quality or its weight,” he says. “A Picasso painting is literally paint on canvas. There is literally nothing else. Yes, the man had skill. I love Picasso, but to pay $40 million for it? That value has just come from our perception of it. “I started to think: So much of art is to do with how we read things or how the artist kind of tells us what he’s put into it and we have to believe it. It’s almost like religion in way. Just because you can’t feel it or see it, it doesn’t mean it’s not there.” Ford says for The Emperor’s New Clothes, also to be held in Gisborne, all the works are by artists about things we can’t see, or our perception of quality. One of the artists will be Glen Hayward, who specialises in making realistic sculptures of throwaway objects, including folded up cardboard boxes, which he actually made meticulously from wood. “For this [show] he’s carving a blank canvas out of wood and then painting it to look like blank hessian.